The VR subscription service is celebrating 5x growth of its subscriber base and its 2nd anniversary by waiving the platform fee for devs. 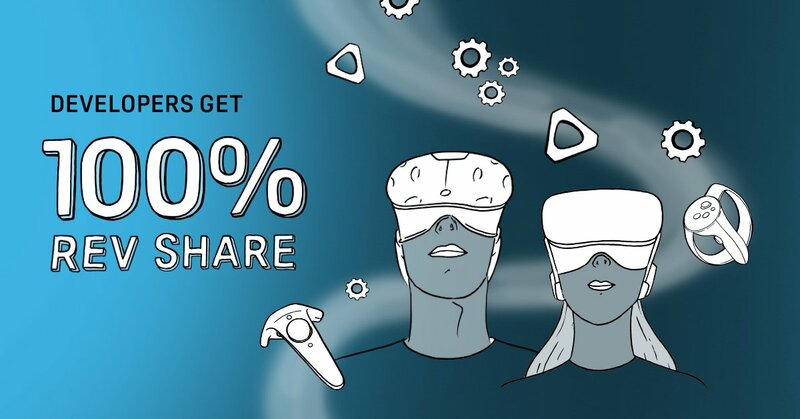 Virtual reality installed bases are still not the size most game studios would like them to be, but VR developers do have another option to monetize with HTC's Viveport subscription business. The service has been around for two years and for the second straight year, HTC has decided to do VR developers a favor by completely waiving their share of the revenues (which is the industry standard 30 percent). That means starting in October, all net revenue generated through the end of the year will go directly to boosting developers' bottom line. HTC does not share exact numbers on subscriber count but boasted that its base has grown by a factor of five. The company said that its last year was the most successful yet as the library of titles grew to 1,500 (500 of which are available in the subscription). If you're not familiar with Viveport, the subscription model allows players to have a rotating library of any five VR games, which can be swapped out each month. The basic plan costs $8.99 per month, and Viveport offers longer term subscriptions for additional savings (the annual subscription, for example, is $79.99). 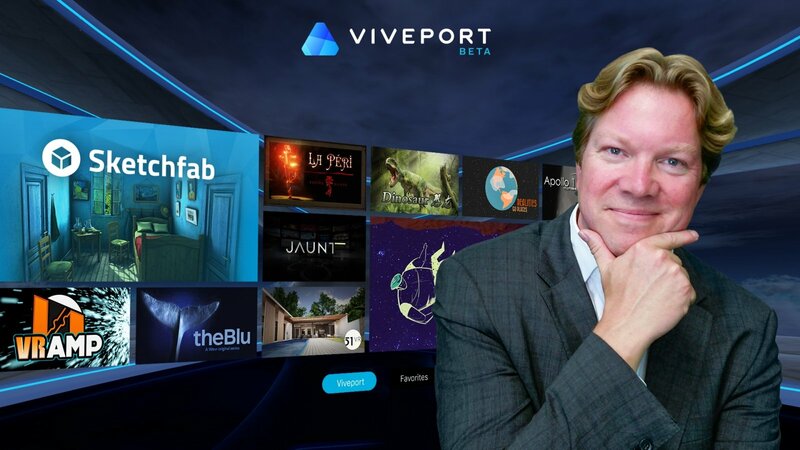 In an interview with GameDaily, Steiber reinforced that supporting the developer ecosystem is only going to lead to better content coming to Viveport, which in turn will grow the audience and make it more appealing to players. "We just want to show our commitment to helping developers grow and thrive, and also discover subscription as a way for them to monetize, regardless if they're Vive or Oculus subscribers," Steiber told me. "And we need to build this ecosystem together, because if you have a significant amount of subscribers, then it's going to be a significant amount of revenue for developers, so we kind of need to build this ecosystem together, with them. And also, if you're a consumer, and you're picking Tilt Brush, or you're picking that indie developer, you know that your money is going to go to them. So you're supporting your favorite developer." In addition to opening up Viveport to Oculus Rift users, which gives developers another potential audience to tap into, the company partnered with Amazon to start selling Viveport games while leveraging other retailers for Viveport gift cards. "Starting this month, we have a partnership with Amazon, which promotes our VR developers. So for example, if you look at a Vive headset, you will see things like theBlu, or Tilt Brush, or other pieces of content that are very popular on Viveport. So we actually help developers get marketing on Amazon as well, which I think is going to be quite meaningful," Steiber continued. "So the way it works as a developer, if you want your title to be featured on Amazon, you do a checkbox, and then you're not just opted into the subscription, but you're also opted into the Amazon marketing program, so it's quite easy to do. And another thing that's going live now, is that we're starting to promote Viveport gift cards in GameStops and Fry's Electronics and Micro Centers across America. So I think we're also having an opportunity for developers to get featured and do all kinds of interesting things in retail, as well." At other times of the year, when Viveport retains its 30 percent cut, Steiber insisted that it's money being spent wisely on the developer's behalf. "We don't charge the developer unless we actually sell something. And what you get for that is essentially that we spend money marketing the developer, like in paid media or social," he said. "This week, we are also launching a Developer's Story series. So we filmed the developer and we're trying to get their story out. We also do things like Viveport developer awards, where we spend $500,000 in prize money. And then of course, as a developer, we have a one-to-one marketing relationship with people who buy our hardware, so we reach them through our properties, and our emails, etc. We have DRM, so we protect the content too." We'll have much more about the VR market, HTC Vive's approach and more in our full Rikard Steiber interview. Stay tuned! Full disclosure: GameDaily parent company Greenlit Content does work with HTC Vive as a client. GameDaily's coverage remains objective.